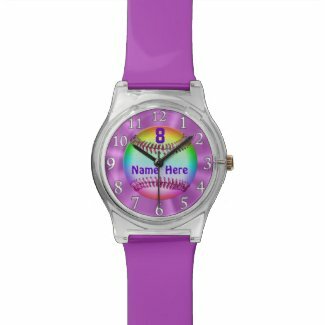 For Multiple Personalized Softball Gifts for Players and Team, Personalize ONE GIFT at a Time – Add to Cart – Press Your Back Button or Zazzle’s “Keep Shopping” Link. SCROLL ALL the Way Down to See Softball Necklaces, Ornaments, Softball Keychains and more. The Link to the FULL Category of ALL Softball Gifts is ABOVE and BELOW. Cool Personalized Softball Keychains are great gifts for softball team and are under $4.00. PERSONALIZE ONE at a time, Add to Cart then Click “Keep Shopping” and proceed to personalize the next softball keychain. 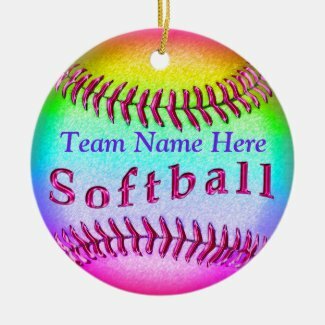 Personalizing it with the players name or team name make it extra special but look below for Softball Gifts Under $5.00 that Do NOT need to be customized. Bulk softball gifts Discount too. You will see the Bulk Discounts under the Quantity drop down box. 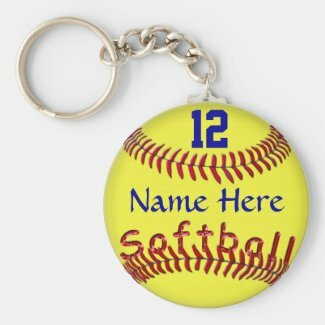 Even if you personalize each and every softball keychain or mug, you will receive the discount for that order and all the same type of product will be shipped to you at one time. Wait until you see the girls faces when they see their jersey number and name and on their special personalized softball gifts for girls. Softball Team Party or how about Softball Senior Night ideas. Personalizable Gifts make it all the more memorable. 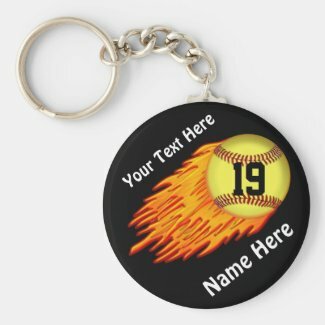 My Most Popular Softball Design on 3 Different Styles and Prices of Softball Keychains. Remember to Personalize ONE KEYCHAIN at a Time. You will still receive BULK Discounts when you order 10 or More Personalized and Custom Number Keychains. 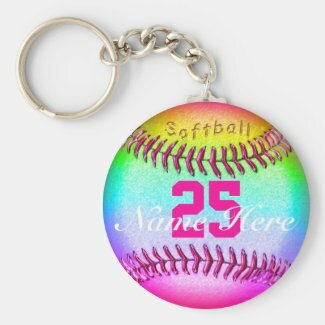 Softball Gifts Under $5 to around $20.00 depending on if you choose the first acrylic softball keychain or the Premium silver finish style. These Custom Softball Ornaments customized with YOUR TEAM NAME will be awesome. Lots of Colors available for the Softball Hats. It looks awesome in the Hot Pink Softball Cap too. Not super CHEAP SOFTBALL TEAM Gift Ideas but affordable. We have many softball gifts under $5.oo, around $2.00 and softball stickers, per stickers for around 30 cents each depending on size. 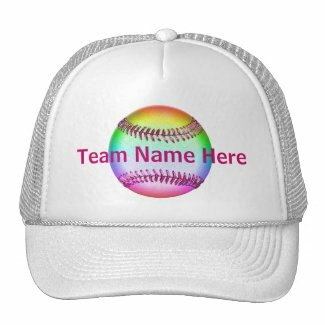 Softball Stuff Category at our Zazzle Store. Click the softball stuff category to visit my shop and see more SOFTBALL TEAM Gift Ideas. 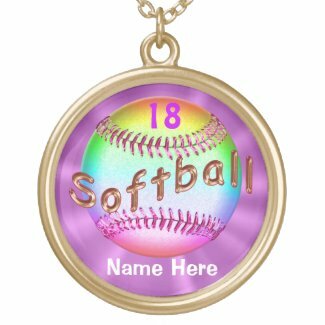 All of these Personalized Softball Necklaces with Numbers are available in Round and Square Styles in Small to Large Sizes, Softball Locket Style. Silver Plated, Gold Finish and even Sterling Silver Softball Necklace. 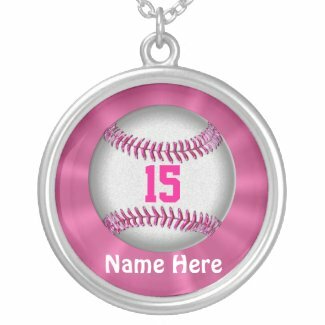 Text Box Templates can be found under the “Personalize it” box to the right of Personalized Softball Jewelry on the product page. Cool SOFTBALL TEAM Gift Ideas. Please Write into the SUBJECT LINE “ZAZZLE”. If I miss your email, please CALL. I will put ANY of my Designs on ANY Zazzle Product or Make Changes for You too. Please feel free to Call Linda for any Help or Questions. If you are looking for Fastpitch Softball Gifts, Grab Bag stuff and Senior Softball Gift Ideas, please visit our store by clicking on the Softball Stuff Category image or link. Lots and lots of cute softball gifts for girls. They will love these softball presents because they were customized just for them. 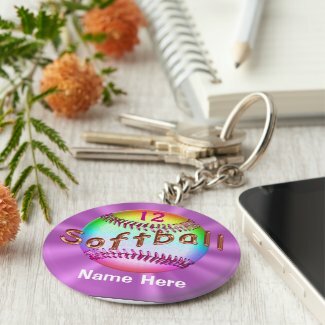 Unique and very cool softball team gifts that are very inexpensive. Give them for Senior Night Softball Gift Ideas. You will be impressed with the personalized softball gifts for players, coaches and softball teams. Everything is 100% guaranteed. Great SOFTBALL TEAM Gift Ideas. If you have a special softball team gift ideas that you would like us to create for you, please give Linda a CALL at: 239-949-9090. No extra charge for custom orders. Many of the personalized softball gifts have bulk discounts too.